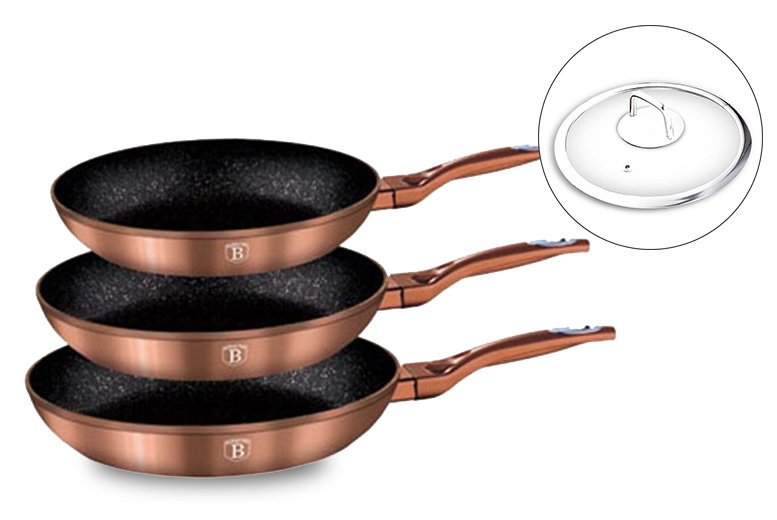 Get a three-piece Berlinger Haus copper pan set. Upgrade to include a set of three heat-resistant glass lids! Made with forged aluminium and features ergonomic soft-touch handles. Includes three sizes- 20 cm, 24 cm and 28 cm.